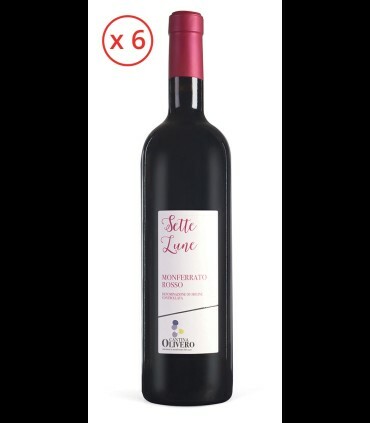 Why I suggest Sette Lune Monferrato Rosso D.O.C. 2016. 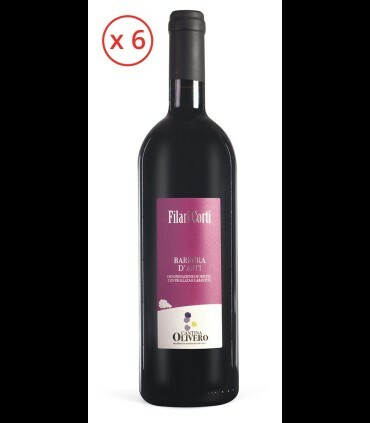 The wine Nebbiolo of the company Olivero an aristocratic Wine that should not miss in the cellar of every lover of big red wines. In particular, the designation made in the area of the alto Monferrato, the greater in absolute and representative of the world, must be drunk at least once in your life. The Sommelier:this Wine is made from Nebbiolo grapes, of good alcoholic content 12,50% Vol. Intense ruby red colour of good intensity, the wine is clear and a good consistency. The scent is balanced and harmonic with hints of ripe fruit of undergrowth, spicy notes of vanilla, tobacco leaf. The palate is dry, soft, chewy, good tannins, a lingering finish. Matching suggested: entire meal, with roasts, stews of meat with vegetables, grilled artichokes, cheese, Cheese, Parmigiano Reggiano aged 36 months. Uncork and serve at a temperature of 16-18°C in the chalice Ballon. Cellar: Olivero Daniele, owner of the Wine Company Oliviero in the alto Monferrato in the town of Cassine. Grower and manufacturer of native wines, craft expression and the image of an extraordinary territory. For a hundred years the family Olivero... Go to the card.